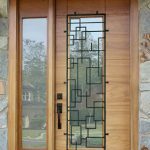 Entry Doors – Our custom doors will complement your home of distinction. We have many styles that accentuate the best of your home. 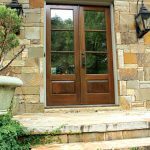 DP Rated Doors - What makes a door DP Rated? These products contained in this section of the website have been tested and approved to meet a Design Pressure (DP) rating of 50. In order to qualify for a DP 50 rating, the door or window is subjected to extreme testing conditions that simulate hurricane force winds up to 173 mph. DP testing requires that all variations of door and window units be tested and engineer approved by calculation based on previous test data. Testing and certification is lengthy and demanding, which leads some manufacturers to refrain from, or find ways around the process while still representing their product as safe and reliable. But the fact is, those products have not been put through the same intensive testing our doors have, and when dealing with the prospect of extreme weather conditions, our DP 50 rated doors are the best choice for ensuring a safe and secure entrance to the home. Impact Rated Doors - What makes a door Impact Rated? Each door unit in the Impact Rated section of this catalog is subjected to 4500 wind cycles per side after being struck by a wooden 2 x 4 traveling at 35 mph in order to simulate wind borne debris. The impacts occur at stile and rail joints, wooden panel locations, as well as glass. All Impact Rated products are manufactured using glass supplied by Cardinal Glass Corporation using DuPont .090 Sentry Glass Plus (SGP) interlayer. This SGP interlayer is the latest innovation in DuPont's family of glass insulating products. It offers five times the tear strength and 100 times the rigidity of conventional interlayer products. The Impact Rated Products also require the use of Ashland Multipoint mechanisms. Double doors require multipoint lock mechanism on both the inactive as well as active doors. Visit our guide for handle options and mechanism details. Custom Door Units - DSA's custom door capabilities include a wide range of wood species and glass options. 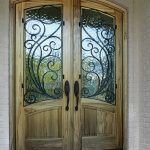 Our custom door department can design and build any door to fit your needs.